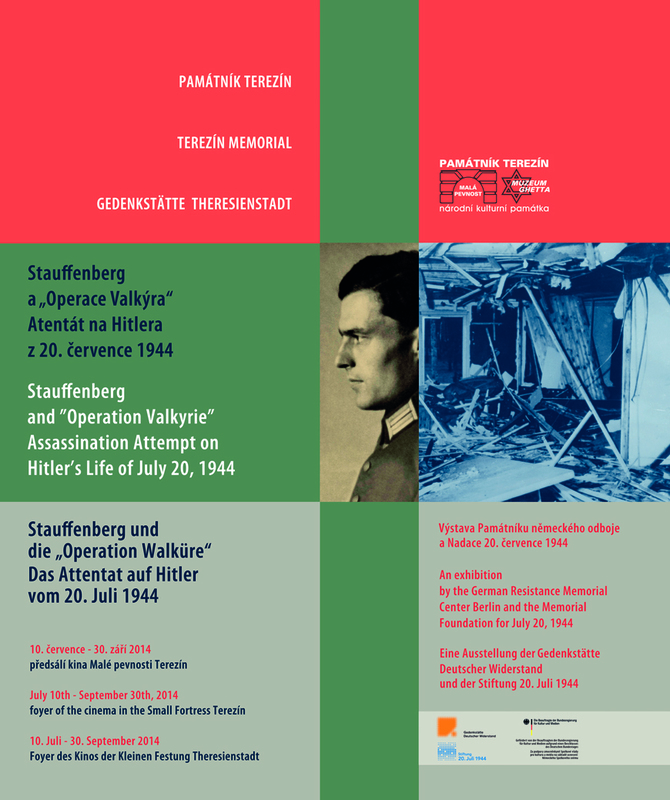 ceremonial opening of the exhibition will take place on July 10th, 2014 at 2 P.M.
Claus Schenk Graf von Stauffenberg became a decisive force in the struggle against Hitler from the fall of 1943. He joined the heart of a military and civilian conspiracy, culminating in an assassination attempt on Hitler on July 20, 1944 and an attempt to topple the Nazi regime by means of a coup d’état. Hitler survived the attack on his life. After the failure of the coup, the Nazi terror reached new heights in Germany. Stauffenberg and three of his fellow conspirators were shot dead the same night, and over 150 people were killed by the Nazis as revenge for July 20, 1944. 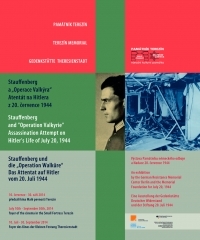 The exhibition, in 20 panels, documents the life of the attempted Hitler assassinator Claus von Stauffenberg, how he came to join the resistance, and his motives for the daring assassination attempt on the “Führer.” It describes the preparations for the attack, honoring Stauffenberg’s fellow conspirators, presenting the course of the assassination attempt in Hitler’s “Wolf’s Lair” headquarters in Rastenburg/East Prussia and the conspirators’ desperate attempts to launch the coup in the Berlin Bendler Block. It details Stauffenberg’s death by militaryfiring squad in Berlin in the night of July 20, 1944, and recounts how the Nazi regime dealt with Stauffenberg’s friends and fellow conspirators.